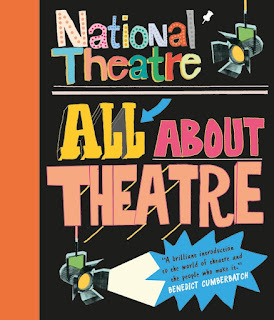 If you and your kids love the theatre as much as we do, then All About Theatre is a must for your family bookshelf. From first idea to final curtain, from backstage to front of house, go behind the scenes in this illustrated book and discover all about how a play is made! 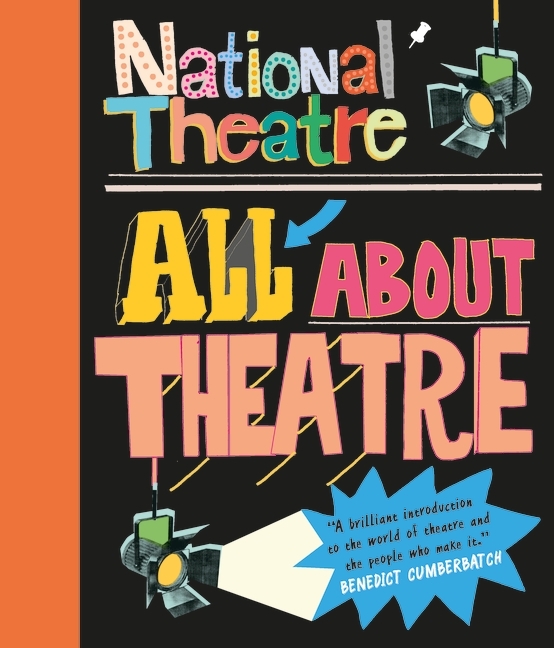 With fascinating facts, surprising stats and activities to try at home, you can delve into the world of the National Theatre's most memorable productions, including War Horse and The Curious Incident of the Dog in the Night-Time. Discover secrets and learn how shows are created from writers, actors, directors, designers and craftspeople who reveal the tricks of their trades! Yesterday, as part of our celebrations to launch the book, a few of us were lucky enough to go on an amazing backstage tour of the National Theatre. We got to take a sneak peek at the props department where they were making lots of exciting things for As You Like It and Husbands and Sons and got to visit the auditoriums and learn about how the stage and set are put together. From the dressing rooms to the props workshop, we were blown away with the amount of detail that goes into putting on a play! We're giving you the chance to win one backstage tour of the National Theatre for you and your family (up to two adults and three children aged 15 and under). You'll have the chance to go behind the scenes, visit unseen and backstage areas and handle props from previous productions. Five runners up will win a copy of the book. I’d like to receive the Picture Book Party newsletter to keep up-to-date with new books, events and exclusives. I’d like to sign-up to receive emails from our friends at The National Theatre. Please tick this box if you are over 13, if you wish to sign-up to the newsletter. If you are under 13 years old you must ask a parent or guardian sign-up on your behalf. By entering this competition, you are agreeing to our terms and conditions (below). Terms and conditions: 1. This prize draw is promoted by Walker Books Ltd. incorporated in England under registered number 1378601 (the “Promoter”) and is not open to employees of the Promoter or their families. 2. Entrants must be residents of the United Kingdom or Republic of Ireland. 3. There will be 1 prize winner and 5 runners up, who will receive the prizes stated. All prizes are non-transferable and there is no cash alternative. 4. The closing date is 7 November 2015. 5. Winners will be notified within 30 days of the closing date. 6. Only prize claims received on or before the closing date will be honoured; the Promoter accepts no responsibility for claims received after the Closing Date. 7. The Promoter accepts no responsibility for any entries that are late, lost, damaged, illegible or corrupted in transit. Proof of entering is not proof of receipt. 8. The Promoter’s decision is final and no correspondence will be entered into. 9. Any personal data obtained and/or gathered by the Promoter shall be used only for the purposes of the competition. All personal details shall be held in accordance with the Data Protection Act 1998. 10. Only one entry will be accepted per email address used. 11. The first prize is a backstage tour of the National Theatre for 2 adults and 3 children (age 15 and under). Five runners up will receive a copy of the book, All About Theatre. 12. There is no cash alternative. 13. The prize is not transferable. 14. UK/Eire travel to the National Theatre will be reimbursed following provision of receipts for such expense, up to a value of £100. Accommodation is not provided. 15. The backstage tour is subject to availability and the National Theatre reserves the right to alter the itinerary of the tour if necessary. 16. The prize must be taken by 30 April 2016. 17. The rules of this prize draw are governed by UK law and entry is conditional on acceptance of these terms and conditions which may be amended at any time by the Promoter.